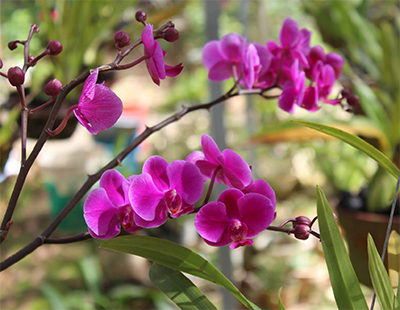 As you might know, the Orchid Scholarship Foundation is an initiative to establish a solid, transparent, and sustainable bridge for individuals and organizations to contribute in the educational development in Vietnam through awarding scholarships to well-deserved and talented students in the ages of 15 to 18. Each scholarship, equivalent to 130 SGD, is a small amount for some of us, but that will drastically transform a student’s life and provide a basic condition to carry on with his/her academic performance. At the party, we will briefly present our activities and achievements last year, and our objectives for this year. Foods are served in terms of BBQ and Vietnamese style. Who are willing to support the needy students in Vietnam may involve in the auctions or fund-matching activities. Your presence at our annual event will be an honor and an encouragement for us. Please RSVP for our planning and catering purpose at webpage https://goo.gl/ajJizj or email addressorchidscholarship@gmail.com. Should you have any enquiry or register for the event, please do not hesitate to contact us via the email provided above. May your days be filled with love of family and friends. We are looking forward to welcoming you at the party.